There (to space) and back again (again). The Co-Opticrew just can't seem to untangle itself from Bungie's wacky sci-fi shooter. Maybe its loot-based tendrils are wrapped too tightly around us, or perhaps it's because we honestly aren't trying too hard. Either way, a decent portion of our staff have their minds firmly focused on engrams, light levels, and anachronistic dance moves. We'll also be cruising around the UK, dealing with social commitments, and printing all kinds of three-dimensional goodies. Check it out! 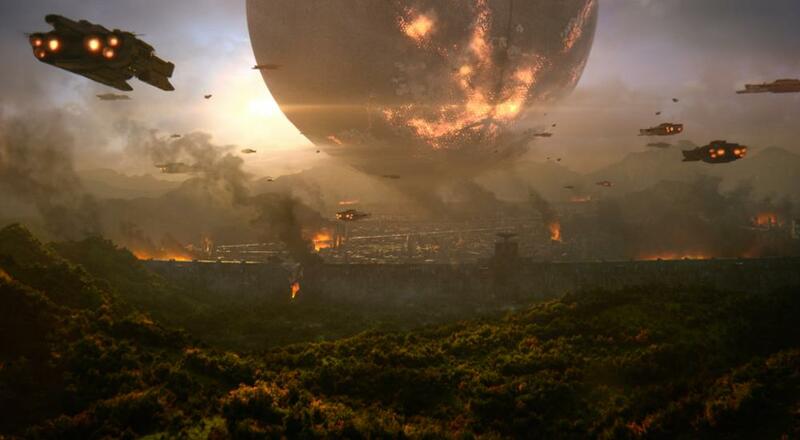 Nick Puleo (@NickPuleo) - "Destiny 2 and CoD: Black Ops IIII. Why didn't they just use roman numerals?" Jason Love (@JLove55) - "DES-TWO-NY! Gonna go run around in a Halloween mask and shoot space aliens to remember all those that have fallen in the game, because, that's what you do." Mike Katsufrakis (@Pheriannath) - "Lots of Destiny 2, and a little bit of WoW, I think." Eric Murphy (@smurph_em) - "Bobby and I are going to stream LiveLock, a futuristic top-down bullet-hell shmup... Not to be confused with LifeLock, a service that protects you from identity theft." Marc Allie (@DjinniMan) - "Spider-Man and Octopath Traveler, plus some Transformers Trading Card Game as well." Locke Vincent (@LockeVincent) - "Play around in Forza Horizon 4, and get some tabletop stuff printing on my new 3D printer." Tally Callahan - "I have some social commitments this weekend, but I'll see if I can't make some time for Smite and Valkyria Chronicles 4." Enoch Starnes (@enochstarnes) - "I'll be edging closer to the level cap in World of Warcraft." Of course, we also need to hear from you. Any good gaming plans on the horizon? Let us know in the comments.